I recently stumbled across this great little video about how to find fulfilling work. It’s not particularly earth-shaking with the suggestions it makes, but it definitely delivers that kick-in-the-pants advice that makes you feel a bit more motivated to tackle whatever obstacles are ahead of you. Enjoy! 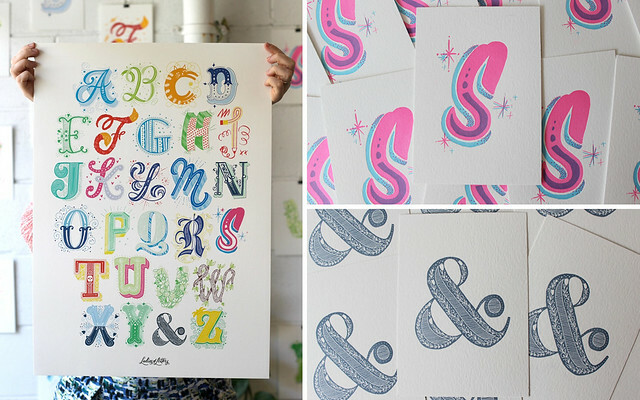 Though I’ve only give you two previous insights as to what inspires me, you might have already noticed that lettering and playful illustrations tend to be at the top of my list. I often have a hard time articulating the style of work that I’m most drawn to and inspired by (I usually call it crunchydesign, though that’s definitely a Kristyism). However, the cheerful work from Rudi de Wet is a great example of some of what I love most. Rudi has an incredible style that mixes beautiful handlettering with an illustration style that never ceases to bring a smile to my face. Plus, anyone who has worked on an illustration project for a grill featuring little illustrations of hamburgers + beers is a friend of mine! I would love to have that grill (so if you want a new best friend, find a way to get one to me in the United States). And despite what the image above conveys, he also isn’t afraid to use color which is something I admire (since I, admittedly, tend to favor cheerful + bold color palettes). All in all, I really dig Rudi’s style, and I think you should definitely go check out the rest of his work over here! Happy Monday everyone! I’m excited to share a new post series that I’ll be adding to the collection which will feature sources of my inspiration! Plus, Mondays can be particularly rough, so why not start the week off with some bright and cheerful imagery? Much of my inspiration comes from experiences away from the computer, yet there are times when escaping the studio just aren’t possible. In either case, I’m excited to share some of the inspiring gems I find online and elsewhere with you. On the rare occasion that I am able to get away from my desk, I try to snap a few photos of inspiring things while I’m out and about so that I have something to draw from the next time I’m in a creative jam. While looking through some old photos on my phone yesterday, I came across a few photos of pieces by Varado & Co that I had seen at Hot Pop’s* Friendship Show 2 in 2013 (two of which are shown above). 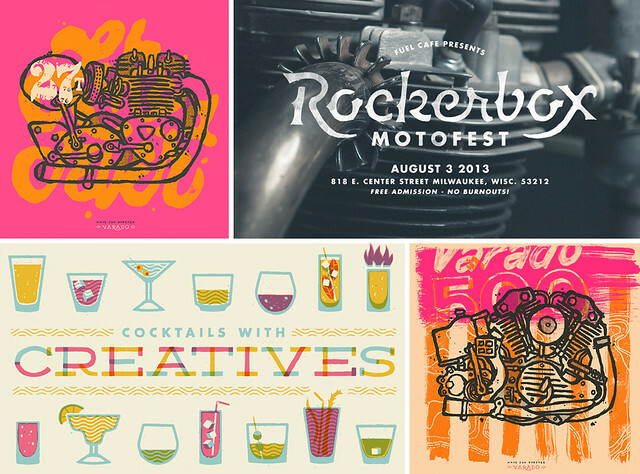 Varado & Co is a small design studio based in Milwaukee, Wisconsin led by the incredibly talented Brett Stenson. As I saw these photos on my phone, I was immediately reminded of how much I love their work and knew immediately I needed to showcase them for this inaugural Monday Inspiration post. Check out this beautiful video (by Ryan Bilinski) featuring the logo Varado & Co designed for Clunk Supply. Swoon! 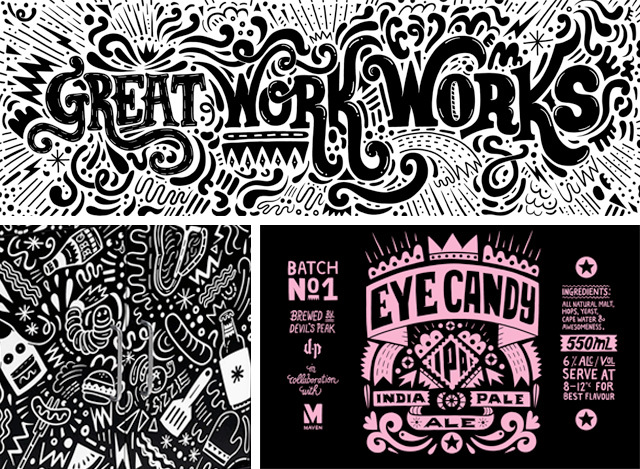 Check out more work by Varado & Co on their website! Enjoy! *Hot Pop is pretty much my favorite store ever so if you’re ever in Milwaukee, definitely check them out! They have an incredible store front filled with tons of lovely gifts, beautiful artwork from local artists, and a delightful staff. When I was still in the area, visiting Hot Pop was definitely a great inspiration when I felt stuck on a project too. They’re just the best! 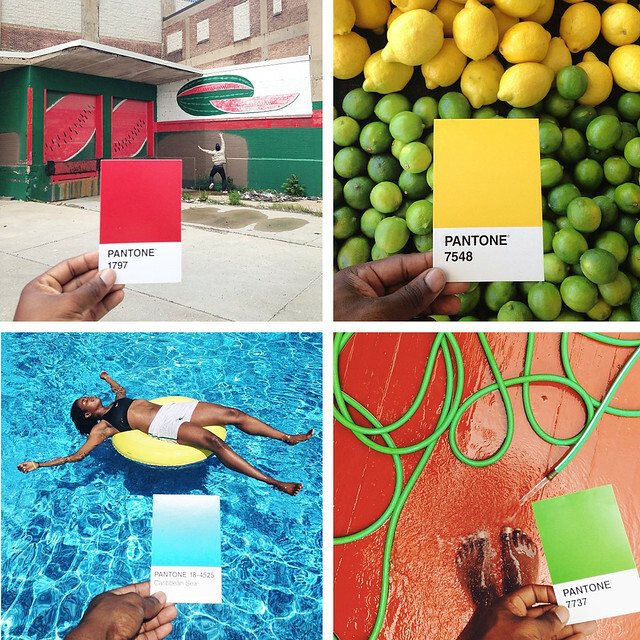 I remember looking at Paul Octavious’ Instagram last year and just geeking out over his Pantone Project which involved him finding a variety of Pantone colors out in the wild. It was beautiful, it was awesome, and it was fun. A year passed and I sort of forgot that it was even thing until I found Tiny PMS Match which is run by designer Inca Mathew. Even though it’s a similar concept to the Pantone Project I saw last year, the sheer tininess of everything has got me obsessed with this idea all over again. 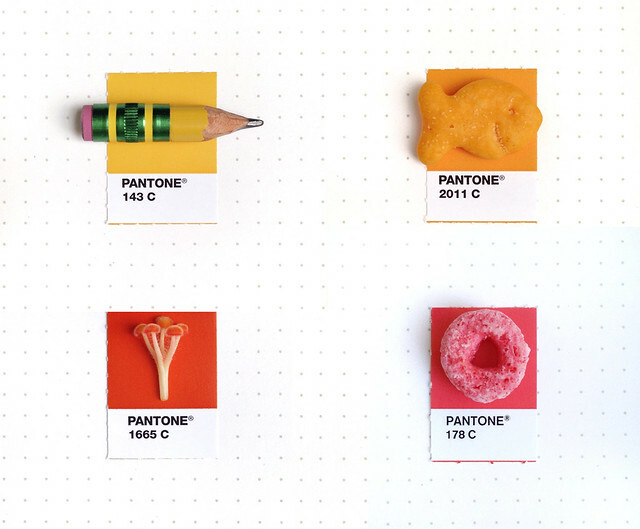 Definitely check out Tiny PMS Match if you’re in the mood for some adorably teeny items just hanging out with their Pantone match. And for those who forgot, here’s a quick round up of some of my favorite Paul Octavious’ finds! If these projects don’t just both scream summer, I don’t know what does!